The NFU is seeking an urgent meeting with ‘the highest level of Government’, after the lack of progress at the EU Council meeting on Wednesday night. The failure of Prime Minister Theresa May to make any meaningful headway in securing a deal with the EU has increased the prospect of the UK leaving the EU without a deal. The NFU said a no-deal exit would be the ‘worst possible outcome for the UK farming industry’, generating costs, delays, increased bureaucracy and, in the worst case, an effective export ban of our products going to the EU. There are concerns it could take at least six months for the UK to gain the necessary status to export animals and animal products after we leave the EU. Leaving the EU with no deal in place for the future UK/EU trading relationship would mean that we fall back on the rules of the World Trade Organisation (WTO) for trade, potentially resulting in tariffs on EU exports that are permitted from the end of March 2019. 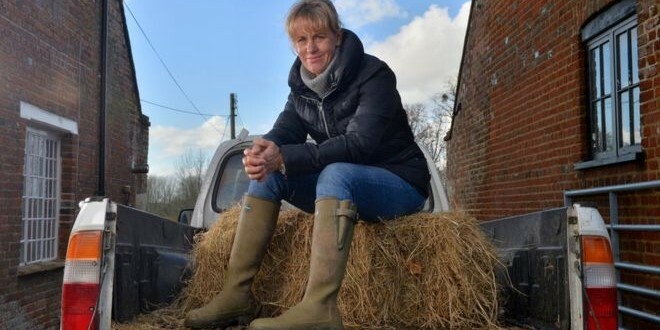 NFU President Minette Batters said that the uncertainty now facing farmers and growers is ‘hugely damaging’, reminding Government that this is a sector that produces the raw ingredients for the UK’s largest manufacturing sector, food and drink. She said: “More than two years on from the EU referendum, farmers and growers are still faced with considerable uncertainty around what the future will look like for their businesses. “It is vital to both the UK and the EU that a deal is reached which allows the food and farming sector to have a viable future. The NFU has maintained that free and frictionless trade is central to that. Defra Secretary Michael Gove reinforced the growing air of concern surrounding a no deal when told a House of Lords committee on Wednesday that his biggest concern is what will happen at the UK’s ports. One fifth of the UK’s exports go via the Dover Straights and the Eurotunnel to Calais. In a no deal scenario, the UK becomes a third country and all animal exports have to be checked at a Border Inspection Post (BIP). There is no BIP at Calais, so all animal and animal exports will have to be re-routed. This is likely to have serious implications for UK road traffic and for capacity at other ports, he said. Commenting on how long it might take for the UK to ‘listed’ as a third country and eligible to export animals and animal products to the EU in the event of a no deal, the Secretary of State made clear that the EU are currently not willing to allow the UK to apply for this status until the UK has left the EU. The process could take up to 6 months, but Mr Gove said there was a possibility the EU may agree to adopt a ‘fast-track’ approach allowing exports to resume in five days. But there is no guarantee of this approach being agreed, he said.